The all-new BV 4100 series is a step up in power and reliability, and has everything you need to get the job done. Includes the new and dependable PowerBind net and twine binding systems. 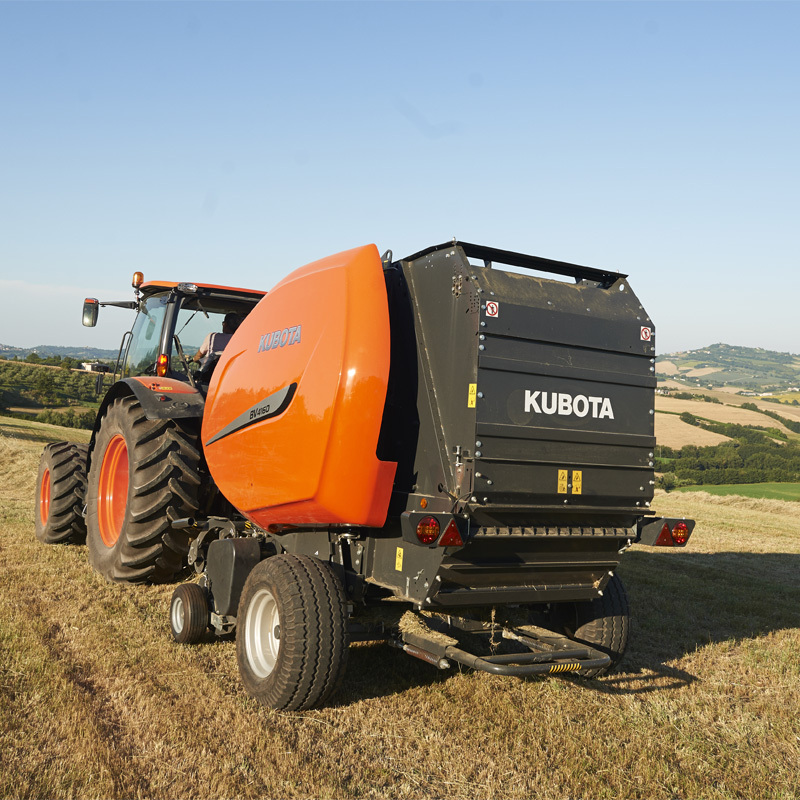 The Kubota BV 4160 and 4180 are highly effective variable chamber balers developed for cost efficient and profitable baling. 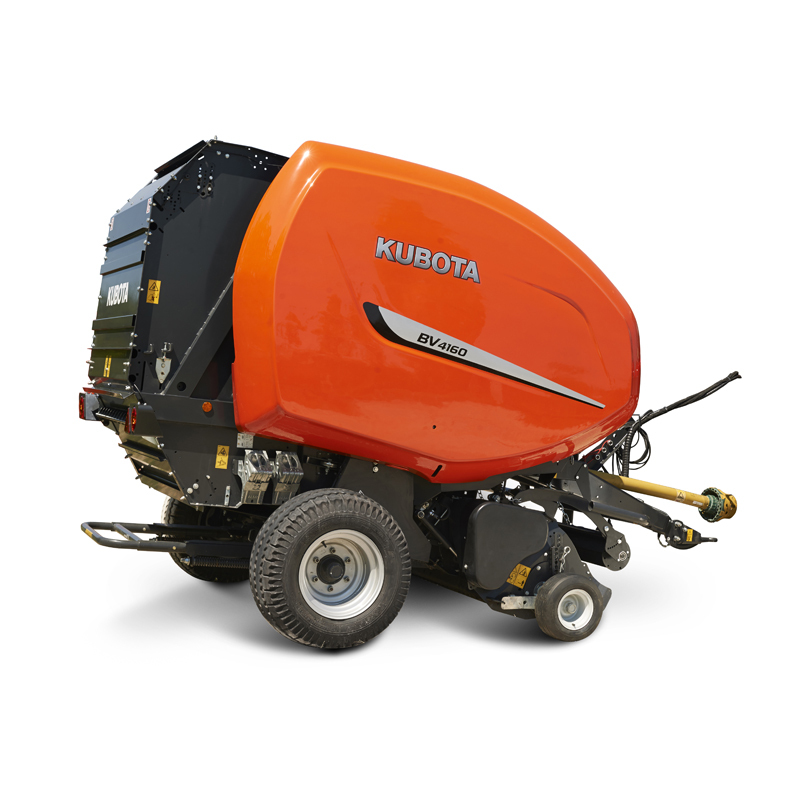 They are developed for simple operation and offer high capacity in silage, hay and straw. The bale chamber is set to provide dense bales with a moderate core and tight outer layer. New PowerBind with direct net injection for fast and highly reliable netting. 2.0 or 2.2 m pick-up with small diameter pick-up reel for fast and efficient throughput. Single or DuoFeed fork feeder or rotor intake systems. Drop Floor for easy unblocking (standard on PowerFeed). Optionally with 3 different bale densities, pre-selected from the tractor cab.